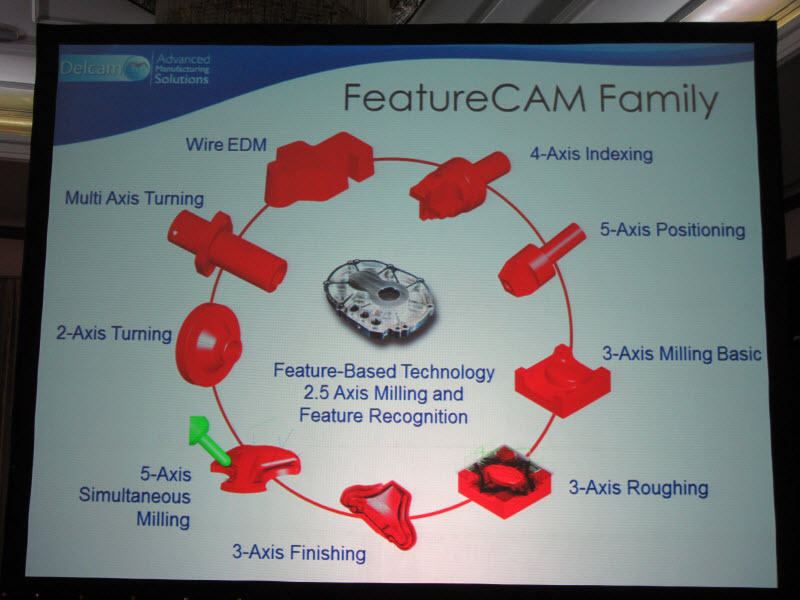 Vineet Seth, the Managing Director of Delcam India gave a presentation on FeatureCAM, a CAM solution that recognizes geometric features from a model and automatically generates tool paths according using standard methods. This use of standard, knowledge-based parameters (tools, speeds, feeds, etc.) yields in consistency from part to part. FeatureCAM was the first CAM system to use this approach. Vineet went on to list the new features of FeatureCAM 2013. I found the new probing feature particularly interesting. This feature takes advantage of standard probing cycles existing on machines. Normally you set up a job, push the button and wait till it finishes. Later if inspection reveals that the part is not right you scrap the part, fix the program and start all over again. The newly added probing feature allows you to insert probing cycles between the regular machining cycles. So the operator can get notified of something is not right before it proceeds to cut material. Some machines can also be set up to send a text message to the machine operator’s mobile phone. 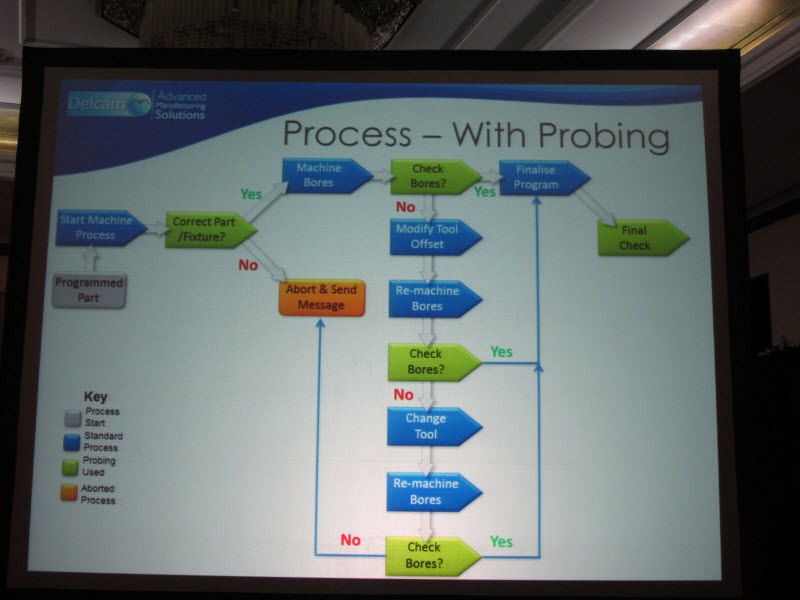 Here is a slide that explain the machining process with probing. Click the image to enlarge. This slide show the entire FeatureCAM family of products.